Liven up Dinner with a Twist on Side Dishes! 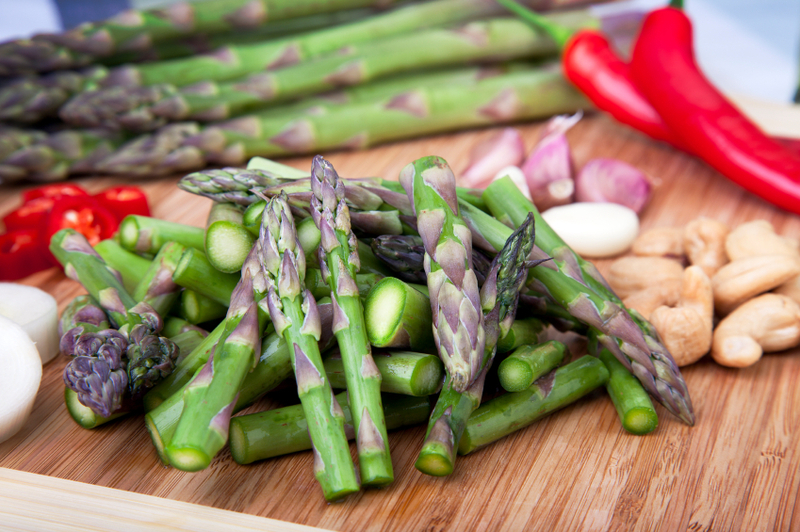 Asparagus is a great go-to side dish for dinner, but how do you change it up to avoid getting tired of it? Try adding cashews to add crunch and texture to the dish! Aside from being tasty, cashews contain many health benefits. Studies have shown that Cashews help prevent cancer and have ingredients that promote good heart health. They are also good for your bones, hair, and nerves. Try our simple Asparagus and Cashews side dish recipe to change up your next meal! Steam the asparagus in a metal steamer over boiling water for about 6 to 7 minutes and drain. Combine asparagus with sesame oil, lemon juice, marjoram, and cashews. Serve warm. Visit our website for more side dish recipes perfect for any meal! ← Happy Gluten-Free Friday! It’s a Lima Bean Dip!